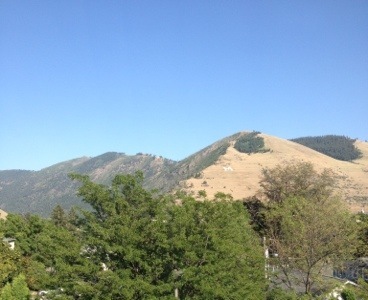 Looking out the window of the Holliday Inn in Missoula, you get a great view of the ‘M’ of UM. The miners at Butte dug ton after ton of high-grade copper ore, soon the small smelters were overwhelmed. A new smelter was built a few miles away in Anaconda. The smelter is gone now, but the stack and gigantic slag heap remain. Slag was basically useless, highly toxic waste. Recently, a research company leased the slag heap and discovered that slag was good for sandblasting, roofing tiles, and sand paper. Finding that their slag dump was valuable ARCO sued the little research company. ARCO wanted their slag back. So there it sits, all 26.5 million tons of it covering 125 acres to the height of 275 feet. A tourist attraction, no doubt. 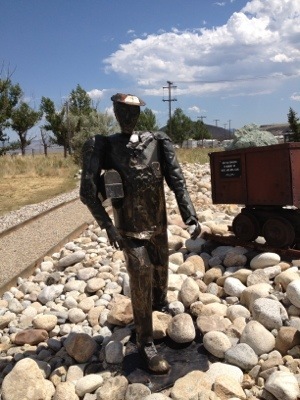 This entry was posted in Montana, Travel Blog and tagged iPhone, Montana, Toxic Waste, Travel, Vacation by carto. Bookmark the permalink.